Just Keep Sweating: Just Keep...RUNNING!? Officially loosing my mind thanks to the help of my fellow "Gym Rats"
I just registered for my FIRST 10k. On Sunday August 19th I will be running the "Dirty Sock Run" in my hometown. I am a bundle of nerves already, BUT this will push me to train. My only goal is to finish, even if that means walking some of the way. Here's a little fun fact... These races are within 6 days of each other! Looks like I will be doing a lot of running between now and August! If ANYONE has any training programs for a 10k please please please let me kno! 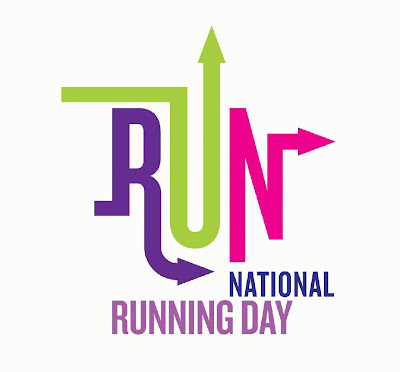 Are you registered for any runs this summer? Do you think I've gone crazy? LOVE LOVE LOVE! The running bug has bit you! I don't have any real schedule for training 5ks or 10ks, but if you are reaching distances for the first time, spread them out. Target one day to run your "long" run. I choose Saturdays, but whatever works. I would run 3, next week 4, then 5, and so on. During the week have 1-2 20-30 minute runs. Since you do tons of cross, you should be fine. That is a general starting point. You can also build in a "rest" week. 3, then cut it in half (1.5), 4, then 2, 5, then 2.5. Hope that helps. That's how I build for Fulls. thank you for this! Endurance is my biggest issue with running, as well as pacing (but I am sure I am not alone in either) Practice makes perfect, as having you coach me through it helps! GO YOU!!!!!!!!! That is INCREDIBLE! I am not a runner by ANY means. Please keep me posted on how it all goes for you i'd love to hear about it! YOU CAN DO IT!!!!!!!!!!!!!!!!! I totally believe that with friends, motivation, and a mindset that you can - YOU CAN!!! I think that you will do wonderful and you will rock it out! I have loved reading your blog and totally enjoy reading about your fun!!! Thank you Molly!! I agree with you 100%... and thanks for the kind words :) I am one crazy broad but hey, if it entertains you guys that's what I am here for! I'm registering for the NYC color run tonight too. It looks like so much fun and I can't wait! were you able to register? the 25th is already sold out! I am glad I got in when I did! Good for you! You are definitely not crazy. :) I don't know your current training, but I'd just aim for 3-4 runs a week, with one of them increasing by one mile a week until you hit 6-8 miles. It's so fun to have races on the calendar, I bet you'll get hooked! I don't run. That is my training hahaha. I have run 2 5ks one in April and one this past weekend... I do a lot of ST and cardio Kickboxing so I guess that has helped me but I am going to start adding distance running into the mix.. what is one more workout, right? Thank you!!!! I appreciate the encouragement as well as the tips, I have heard a lot about hal's training seems like a good place to start! Not crazy! And I agree with the Hal Higdon plan suggestion above. I love his training plans and have used them from shorter races up to the marathon. Good luck and enjoy! Also, love the title...Just Keep Running is my blog name, haha. 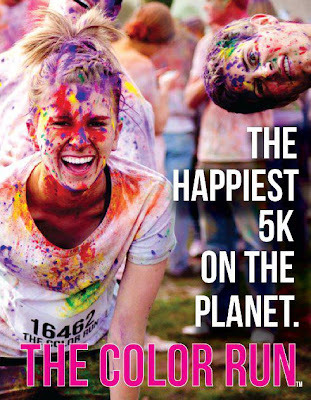 the color runs are so so so fun, too. I cannot WAIT for it, I've been hyping it up to my friends since January...even though i've never done it before haha. BROOKLYN WE GO HARD!